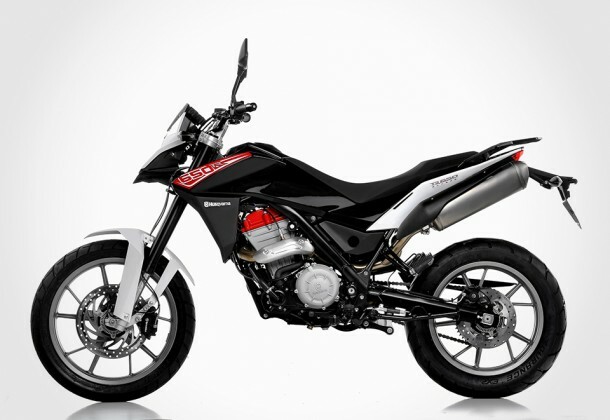 want the best of off-road and paved road two-wheeled ride? the sad truth is, you can’t really have the best of both worlds and this is particularly true if you are a true connoisseur of each riding preference. though you can’t have the best of two worlds in one bike, you can always get two bikes, each designed for a specific terrain. what’s better than getting a duo from a marque that has a rich history in both off-road and road bike, and backed by a reliable brand? we are talking about the new Husqvarna TR 650 Terra and TR 650 Strada. though tuned and designed for different riding nature, both TR650s is fitted with a modified liquid-cooled 652cc single-cylinder G 650 GS engine by BMW Motorrad that puts out 58 ponies (43 kW) and develops a maximum torque of 60 Nm, and mated to a constant-mesh 5-speed manual gearbox. the Terra model is designed and tuned for off-road riding over light terrains while the Strada is geared towards asphalt-loving riders. highlights include a robust chassis with split-backbone tubular steel frame, removable rear frame, torsionally-stiff upside-down telescopic fork, torsionally-stiff dual swing arm with centrally mounted shock, light alloy cast wheels for the Strada and off-road spoke wheels with light alloy rims and hub for the Terra, and single-disc brake front and rear with ABS as standard for the Strada version (ex work option for the Terra). all these wrapped in a strong, masculine lines and dynamically-shaped body panels. 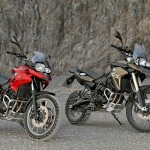 both the Husqvarna TR 650 Terra and TR 650 Strada is expected to be available in the UK in September/October 2012 with prices to be advised. 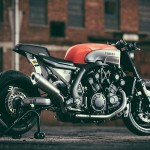 hit the jump for a small gallery of the TR650 Terra and TR650 Strada.